Gluten free cake options are also available. 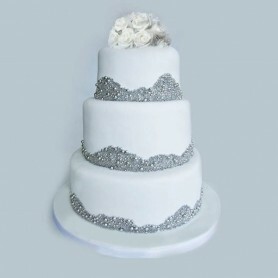 Everyone cuts their cake differently! This portion guide is based on 1”x1” servings, similar to what a hotel would cut for wedding cakes. 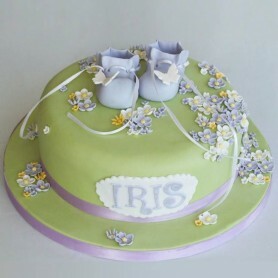 For celebration cakes that you would serve at home, you could at the very least halve these numbers. 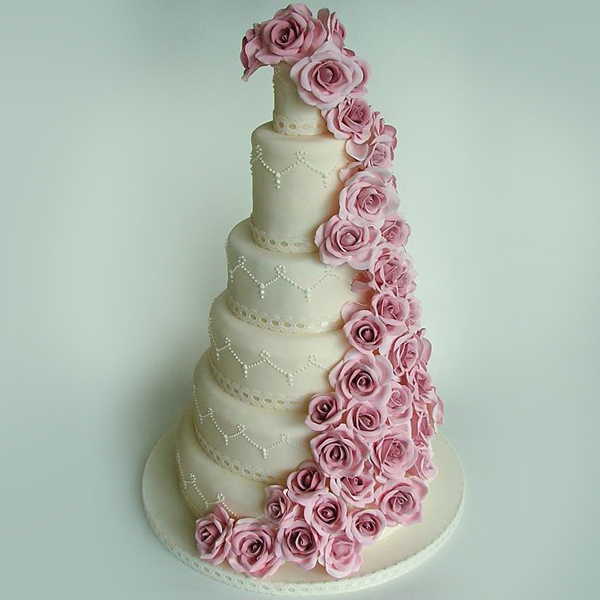 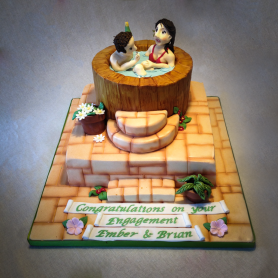 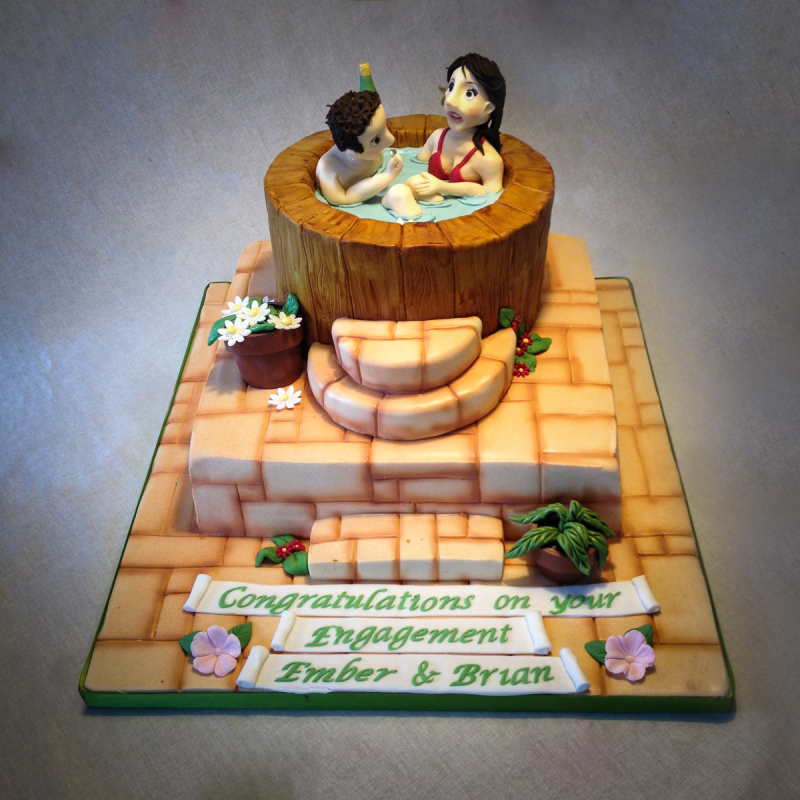 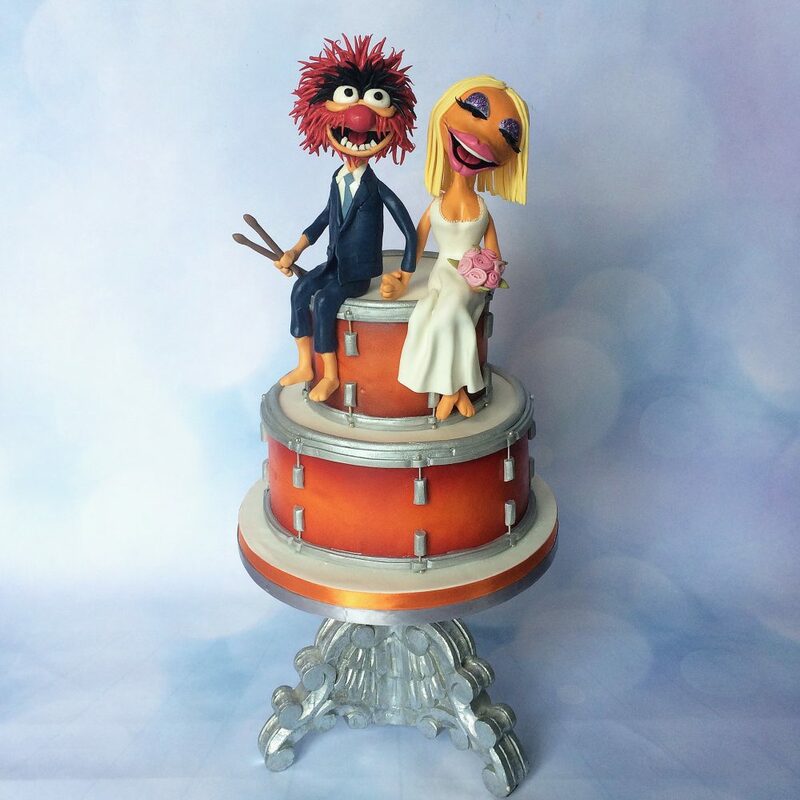 At least two months’ notice is required for a wedding cake, more is even better! 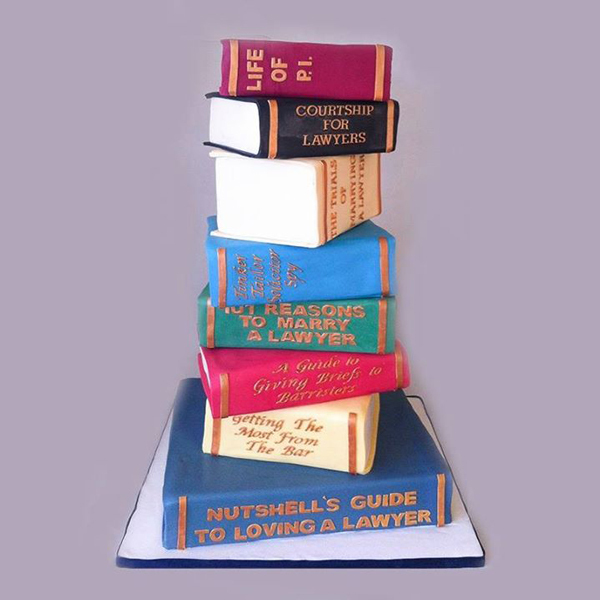 For all other celebration cakes two weeks’ notice is ideal but if you can book earlier it avoids the disappointment of the date being booked out. 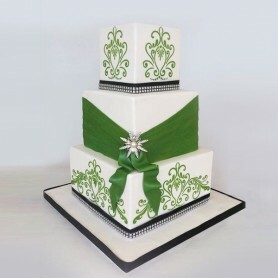 How can I order my cake? 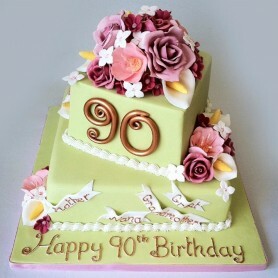 You can order your cake by phone or by email. It’s helpful if you can include as much information as possible, like the size or number of servings you want, date of your event and so on. 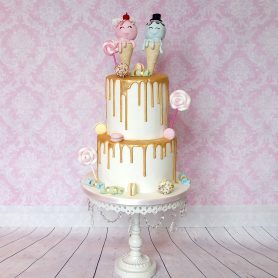 What flavours can I choose? 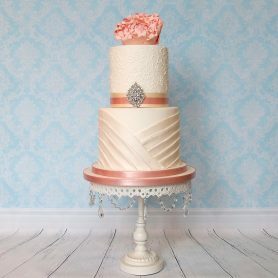 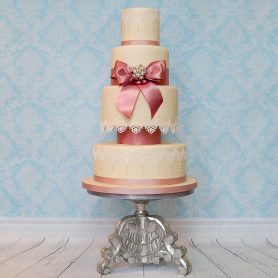 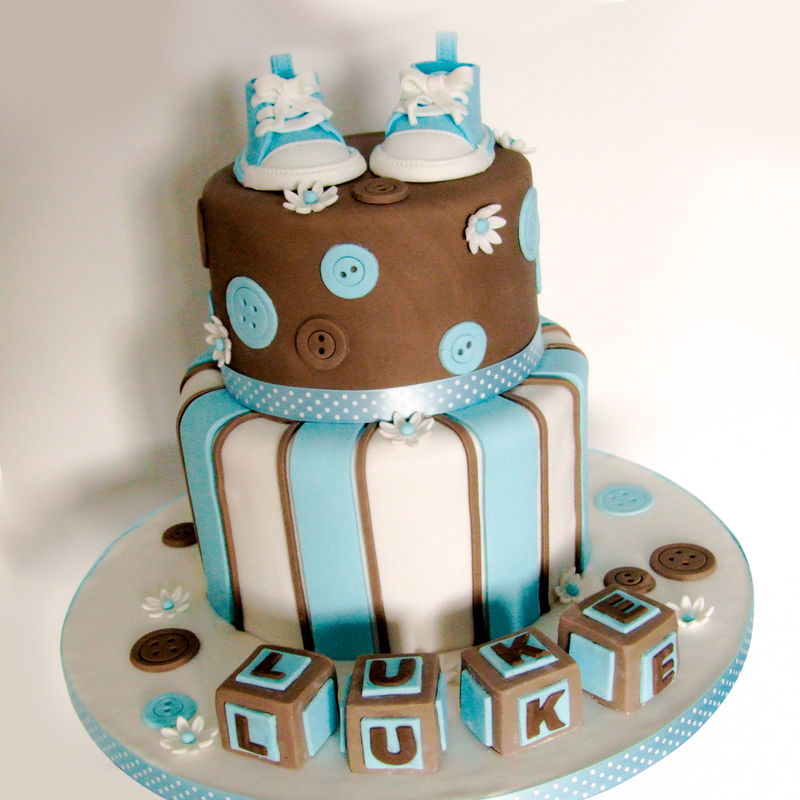 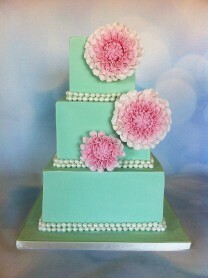 If you are having two or more tiers in your cake, you may choose a different cake flavour for each tier. 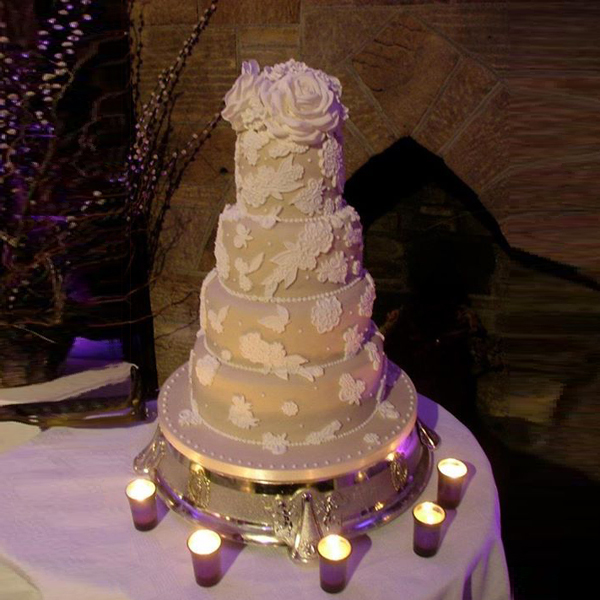 Special requests and dietary requirements can be accommodated wherever possible. 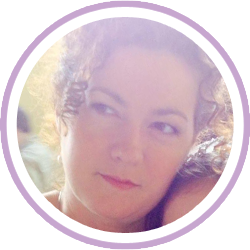 Do I have to choose from your portfolio? No. 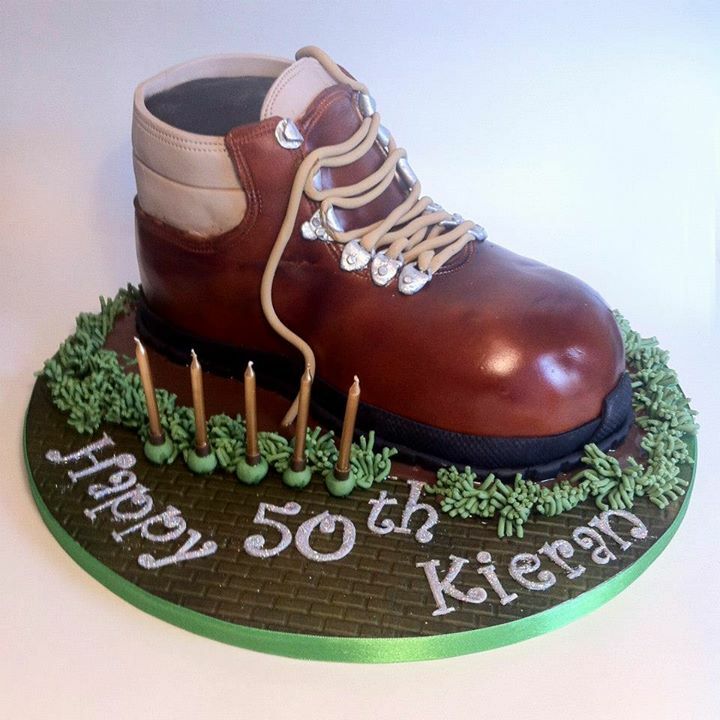 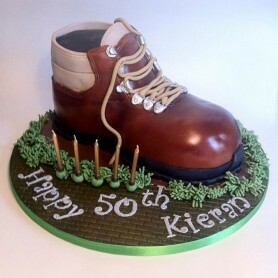 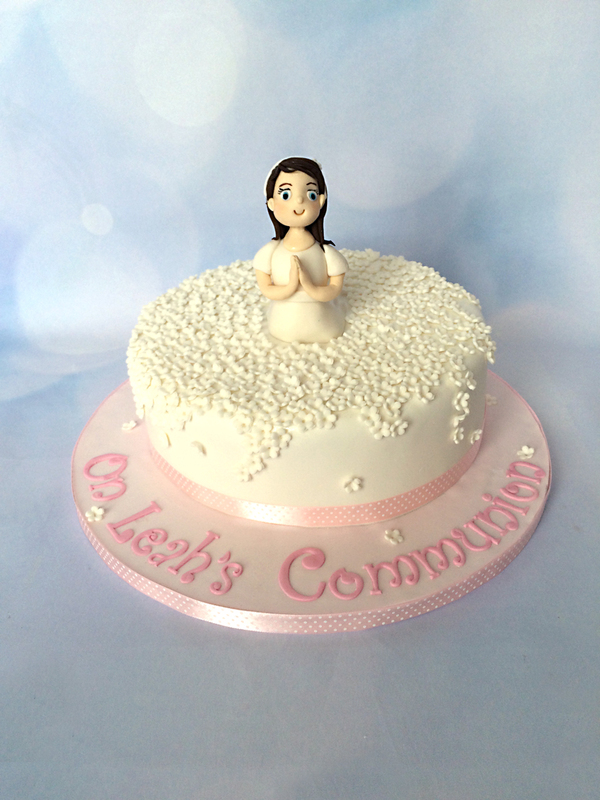 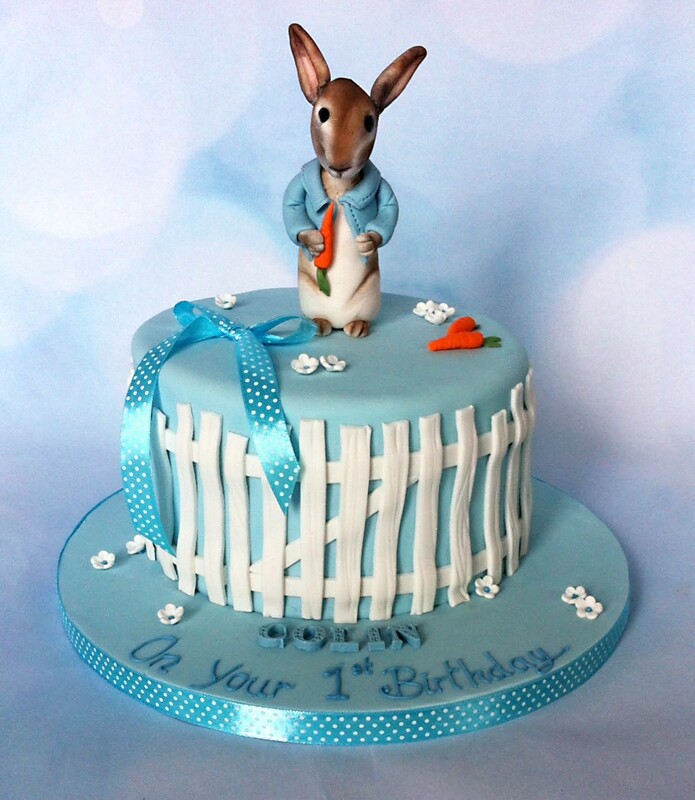 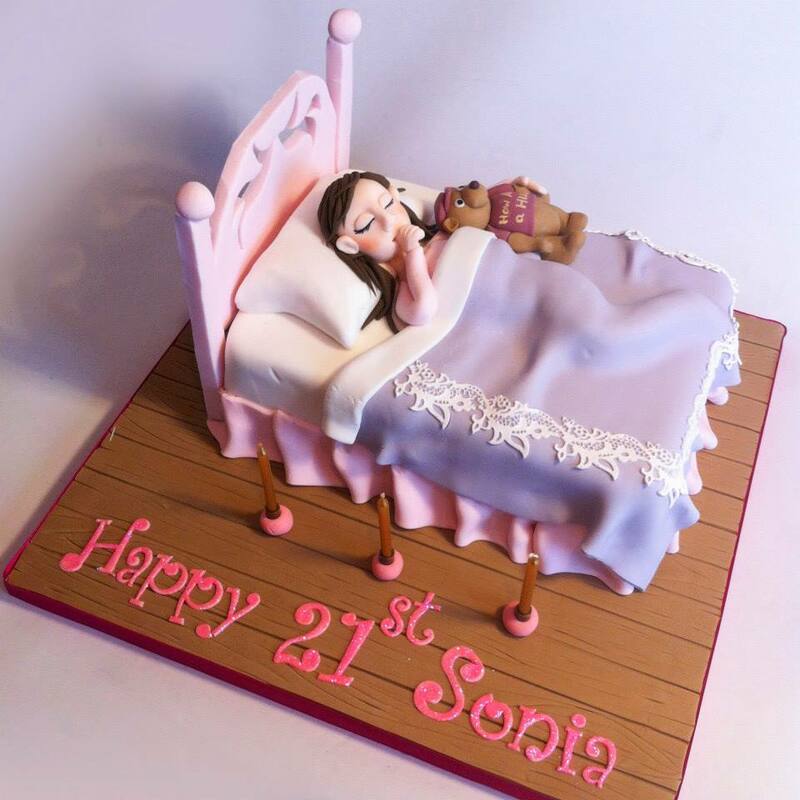 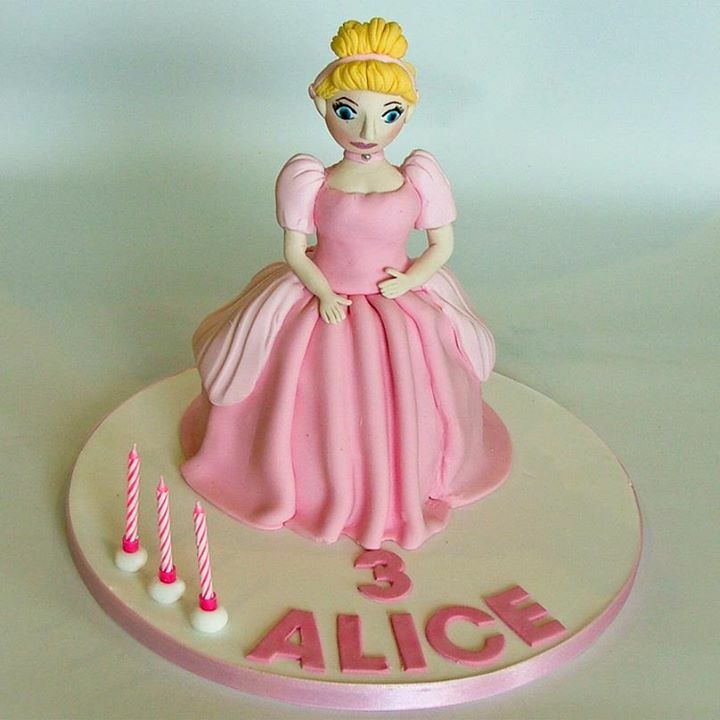 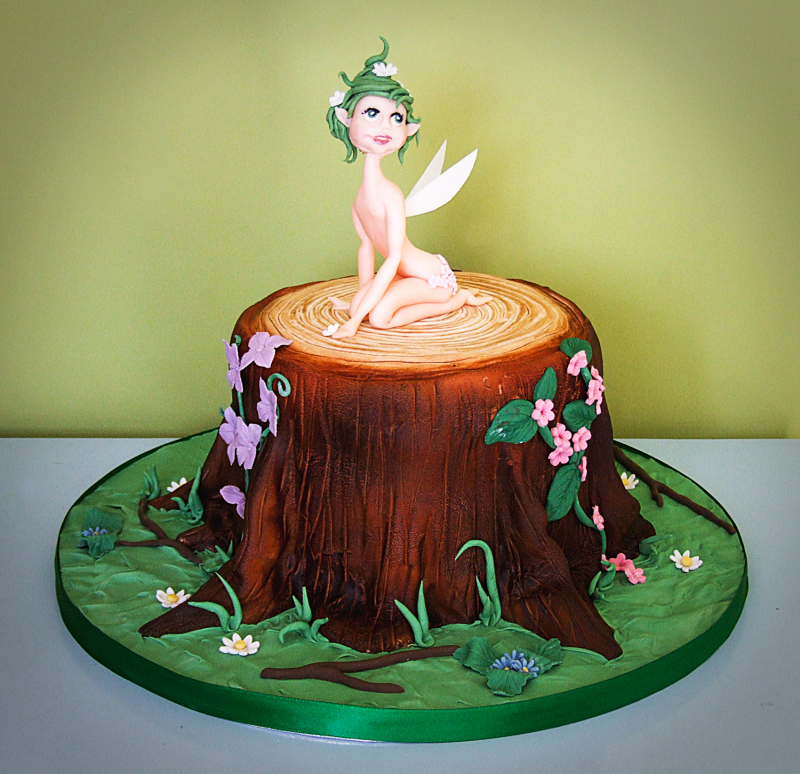 All cakes are individually designed, so although you can choose from any on my website, you can also feel free to change colours or other details. Or just use it for inspiration. 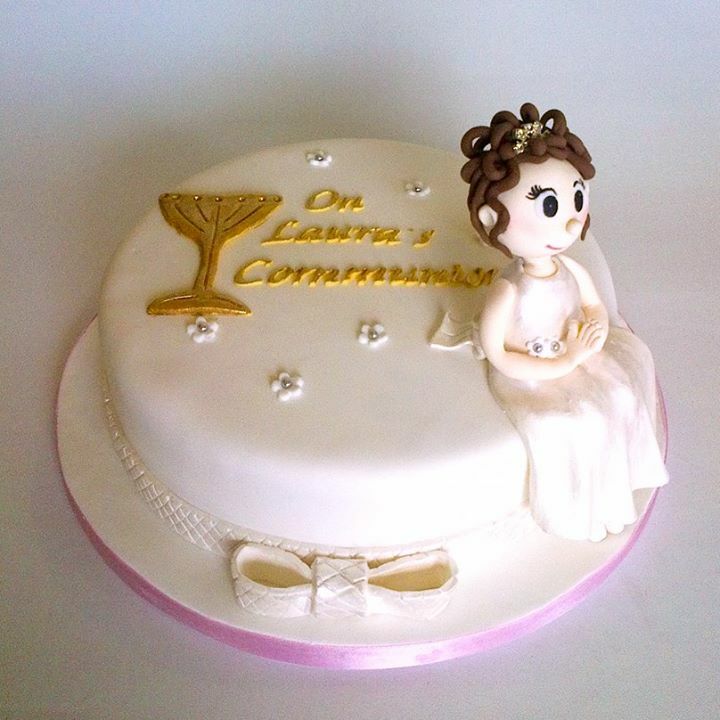 This is usually dictated by the amount of guests you are having. 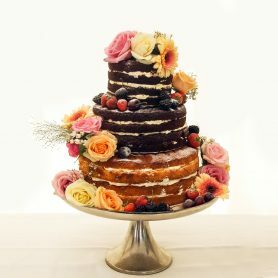 If you have a firm idea of the look you like but the wrong amount of guests, keep in mind that ‘dummy’ tiers can be used and extra cutting cake can be set aside for the kitchen. 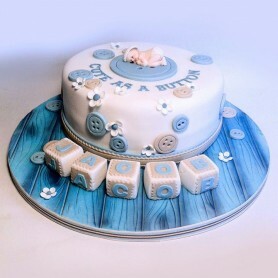 Round or square? 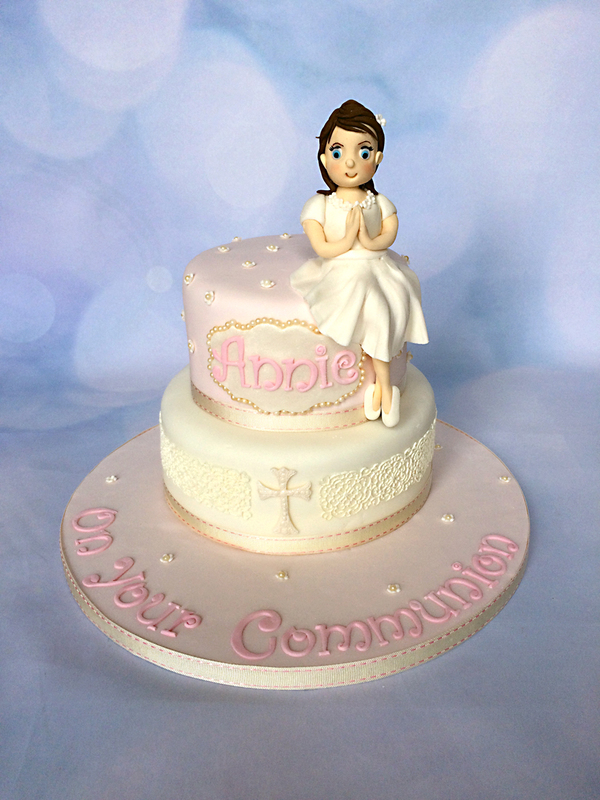 It’s entirely a personal choice! 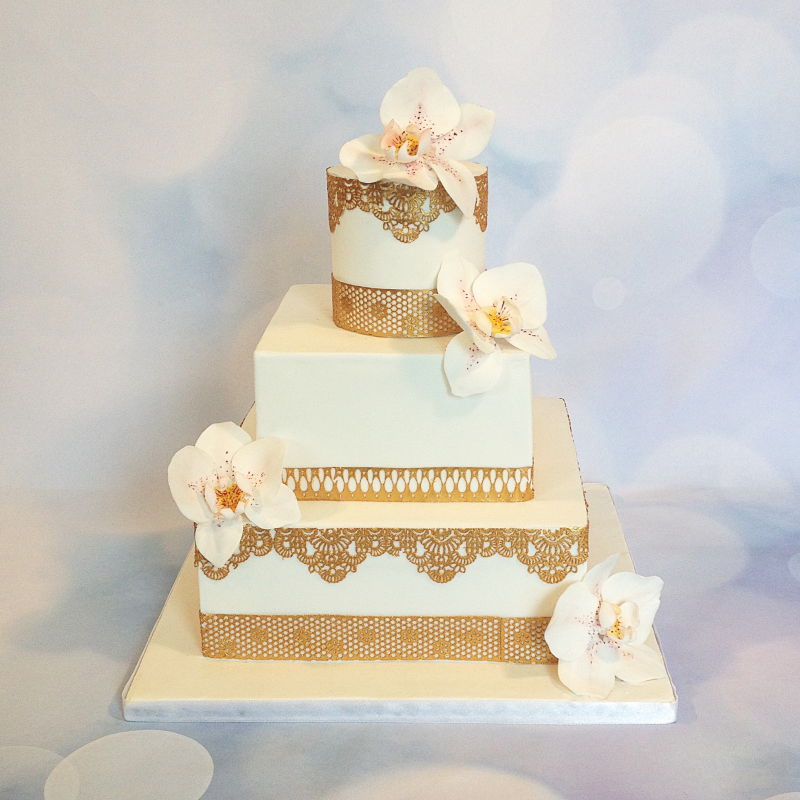 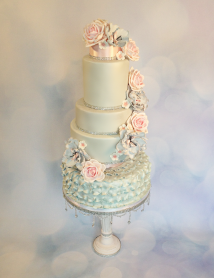 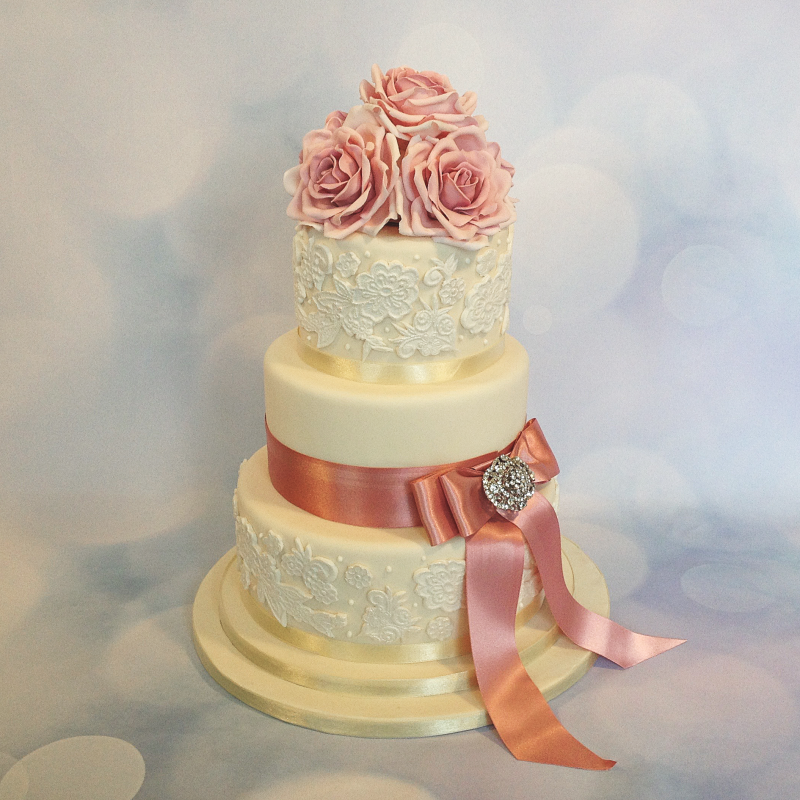 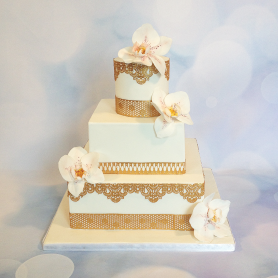 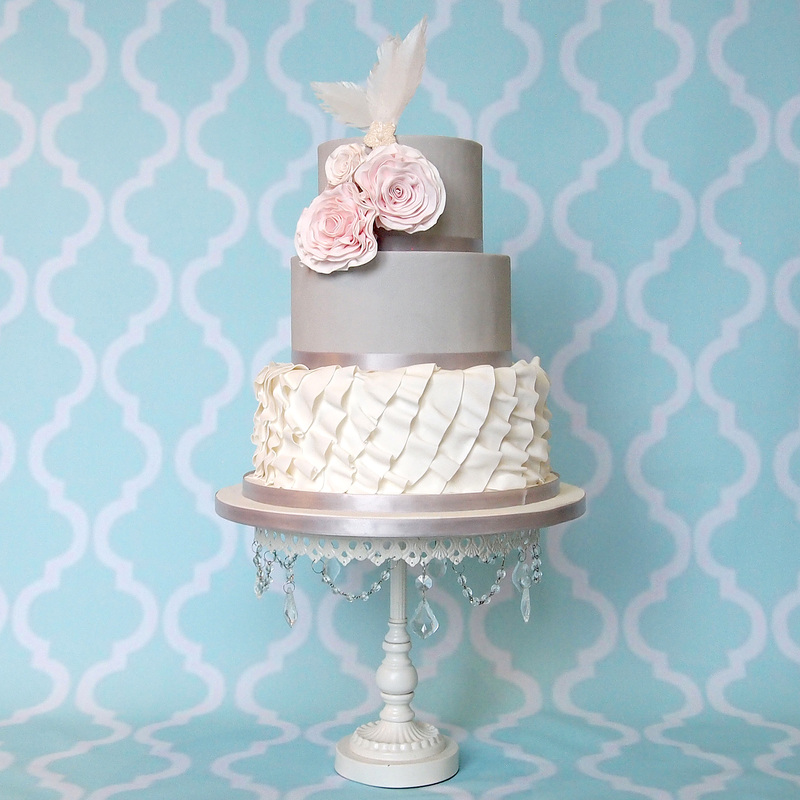 Would you like to use a cake topper, jewels, or ribbons to complement your colour scheme? Fresh flowers can also be added, arrangements can be made with your florist to match bridal bouquets. 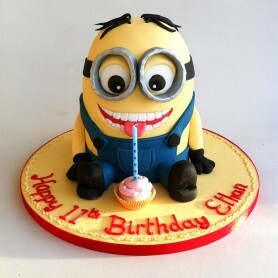 Can I taste the cakes? Of course! 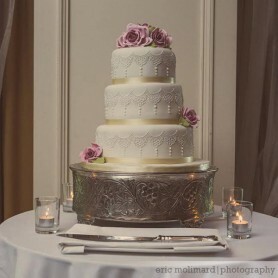 Tasting appointments can be arranged. 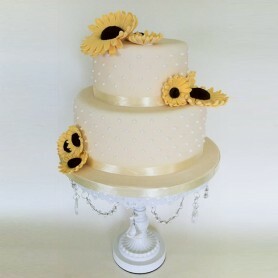 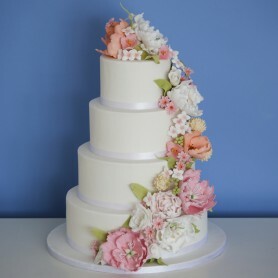 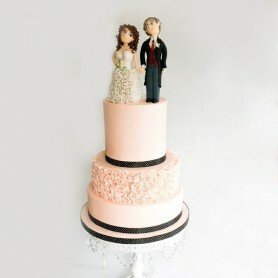 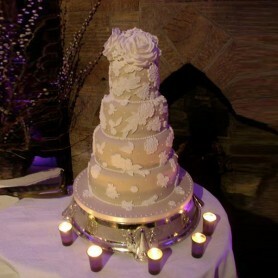 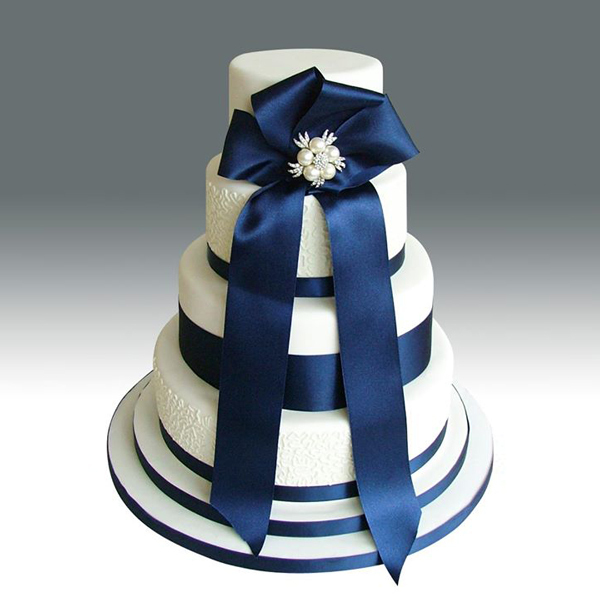 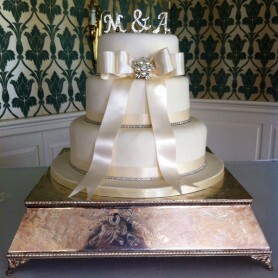 Delivery and set up is included in the price of wedding cakes. 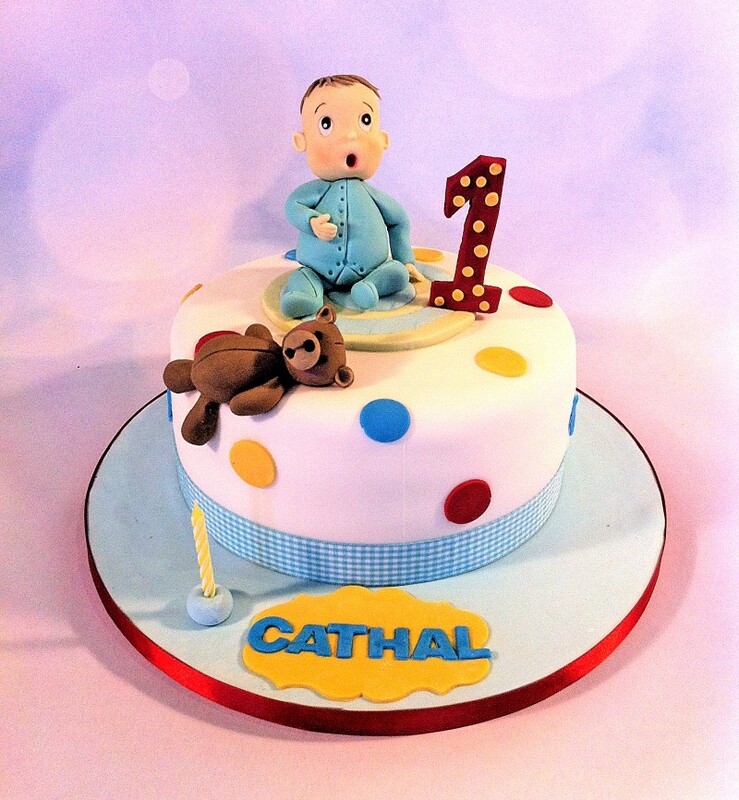 I can deliver to any venue in Kilkenny and the immediate surrounding counties. If you choose to collect and transport your wedding cake yourself, it will be packaged and wrapped for you to avoid damage. However, cakes by their nature are delicate and once collected I can no longer accept liability for any damage that may occur. 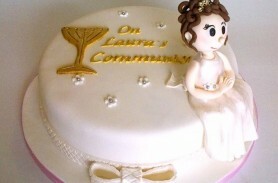 All other cakes are by collection only unless by prior arrangement. 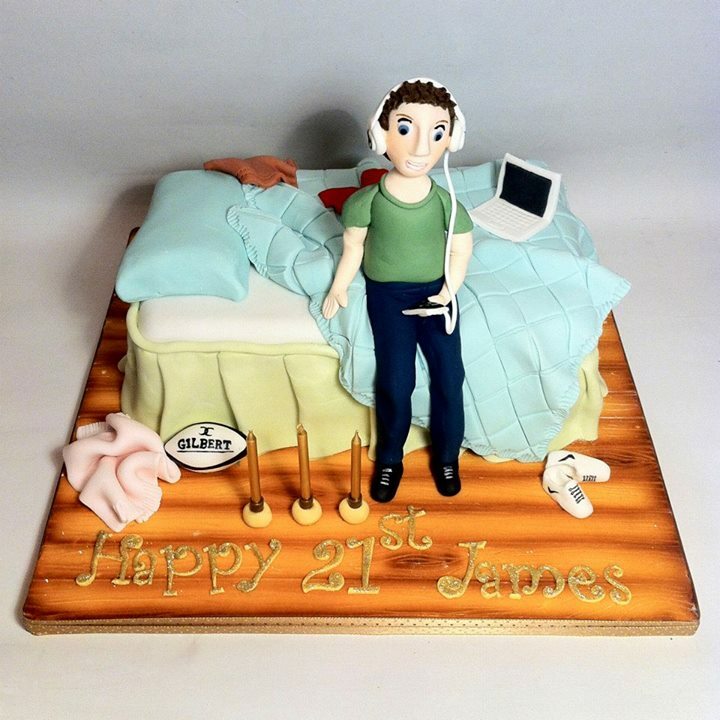 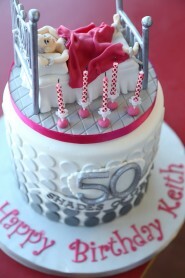 If you need to have your cake delivered to you, a delivery charge will be added. 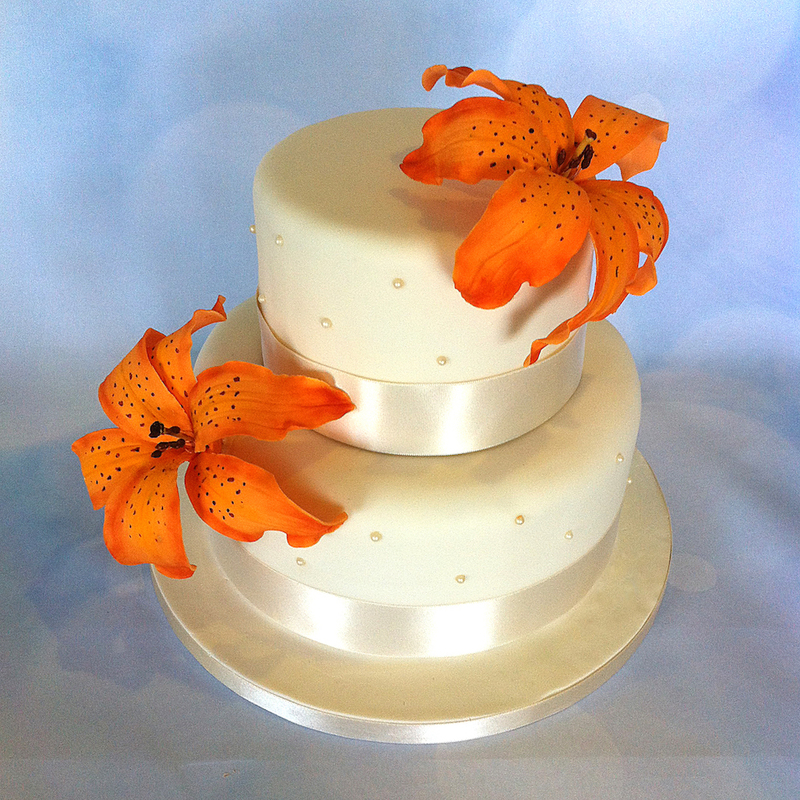 As each cake is an individual creation, there are too many variables to have a standard price list. 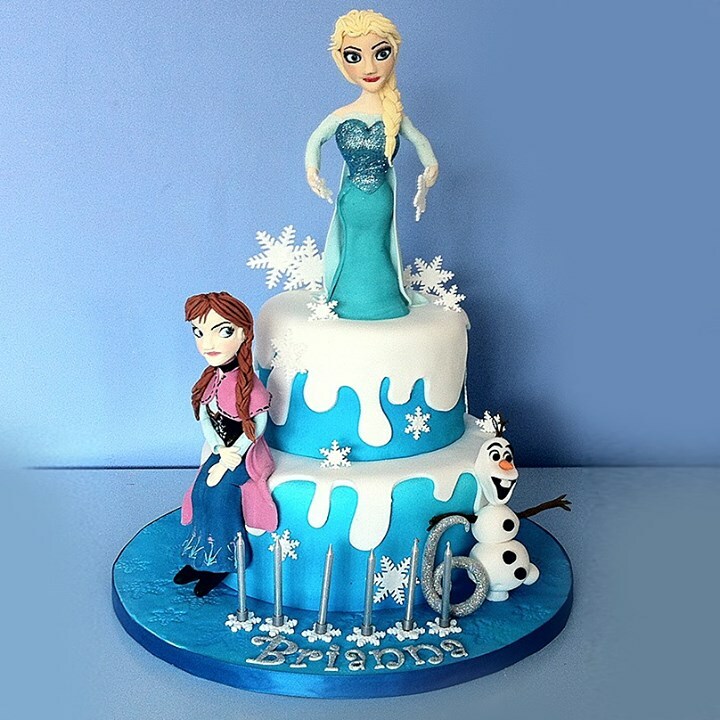 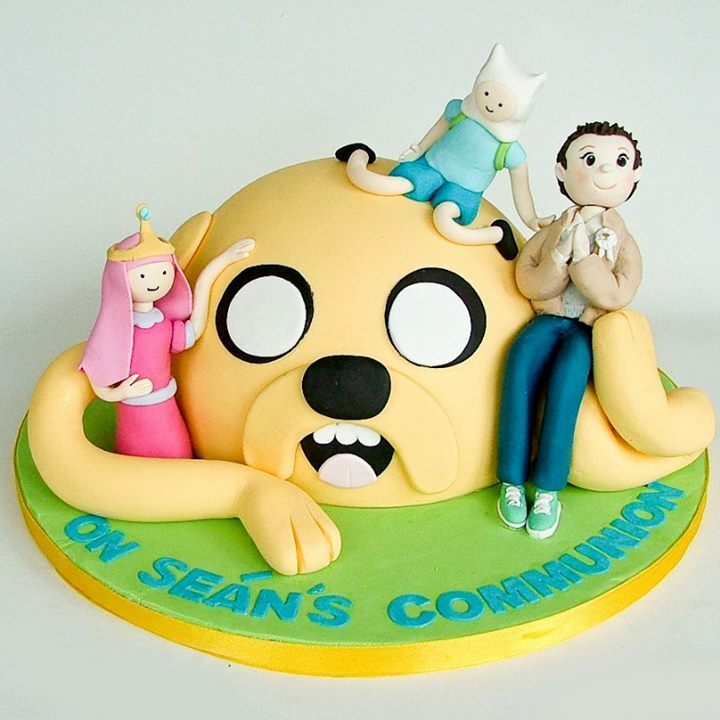 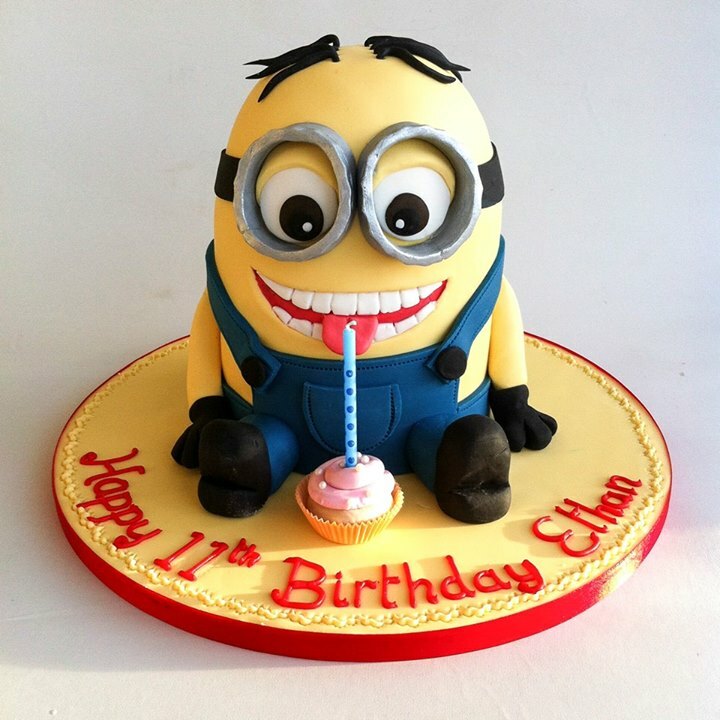 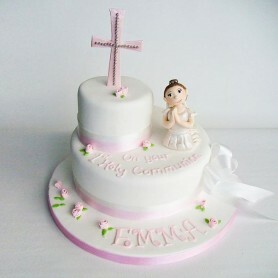 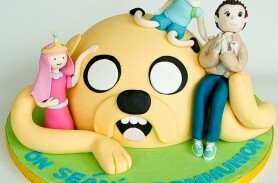 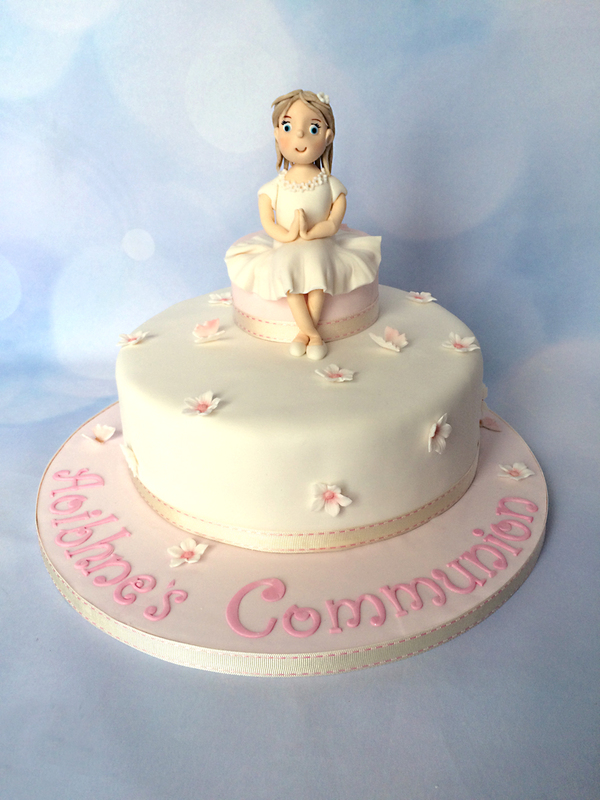 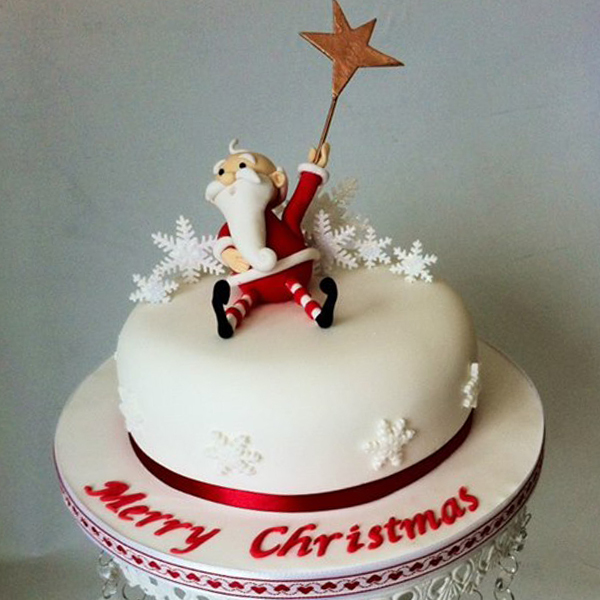 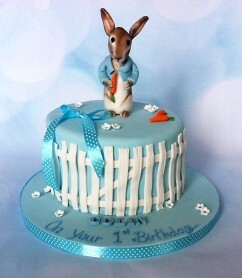 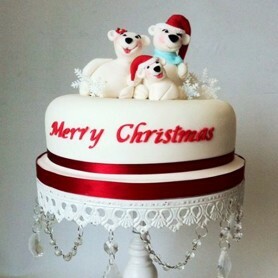 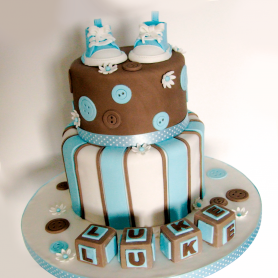 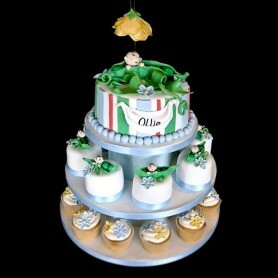 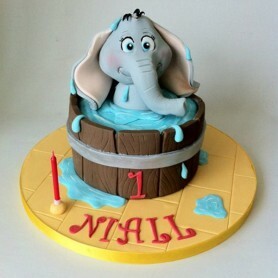 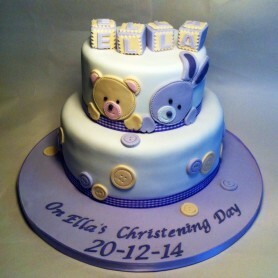 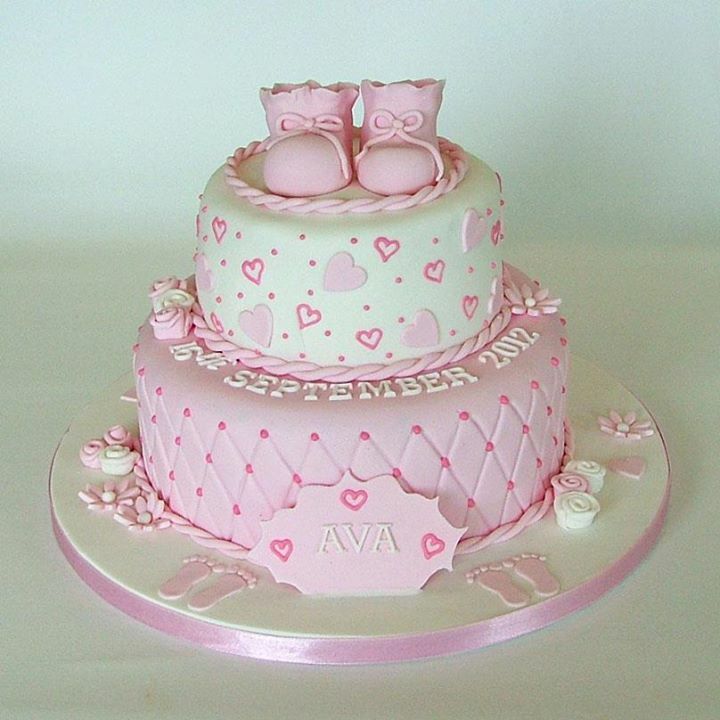 However, as a guide, prices for an 8’’ celebration cake start from €80-€100. 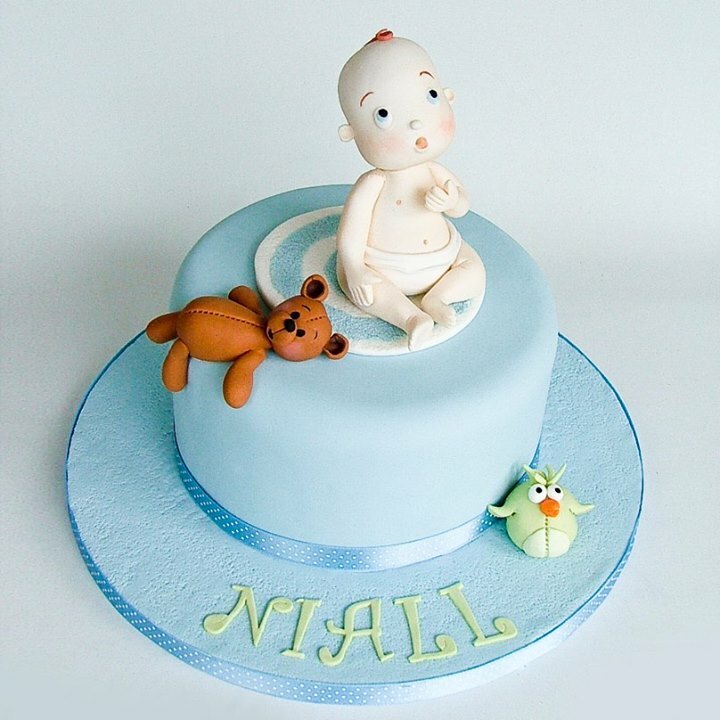 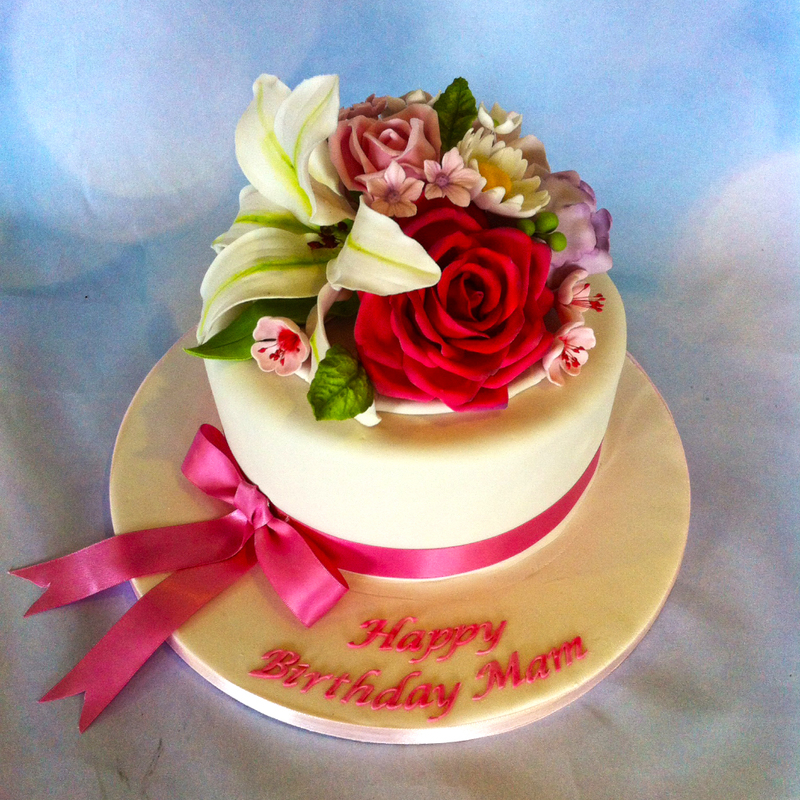 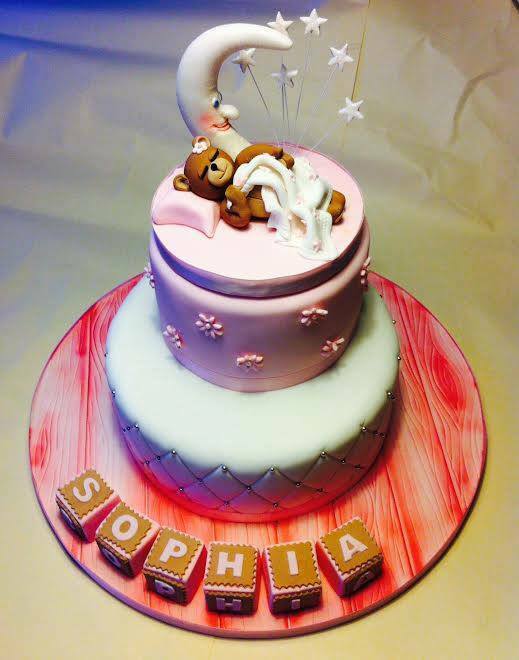 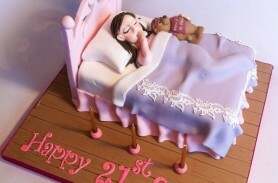 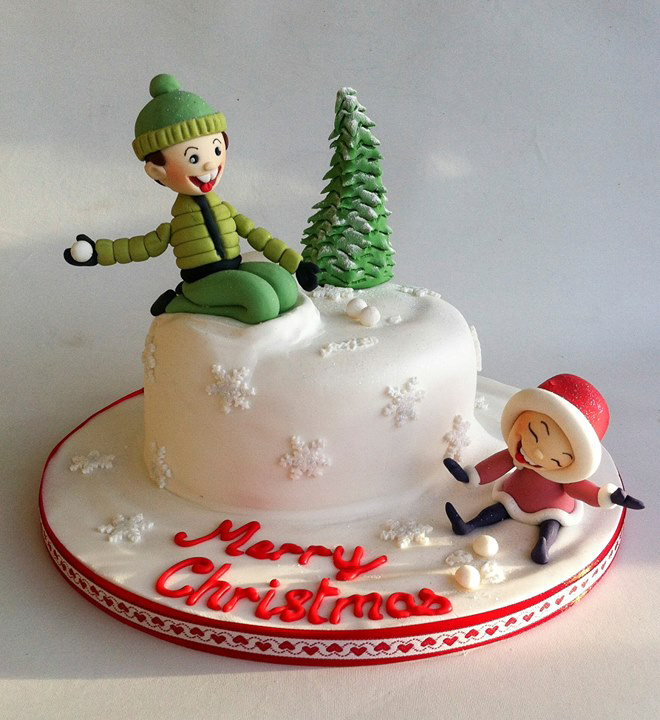 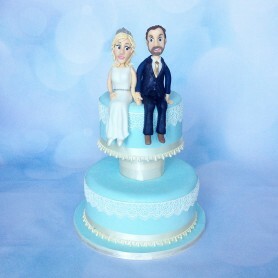 Sculpted cakes start at €120. 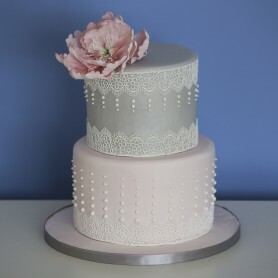 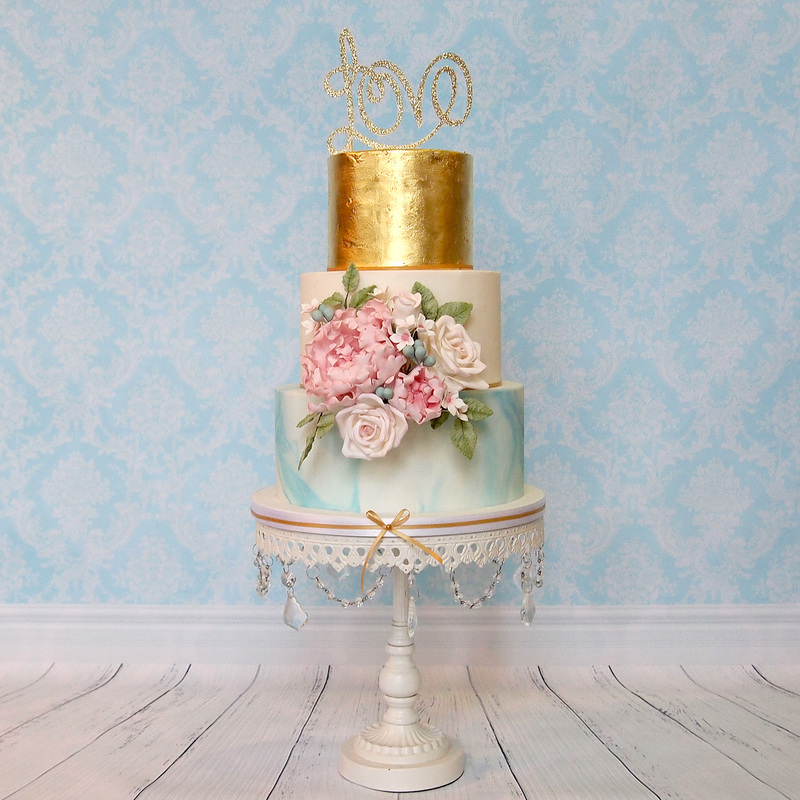 The amount of detail required in the decoration will determine the final price of your cake. 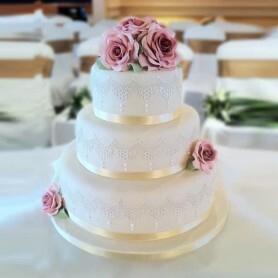 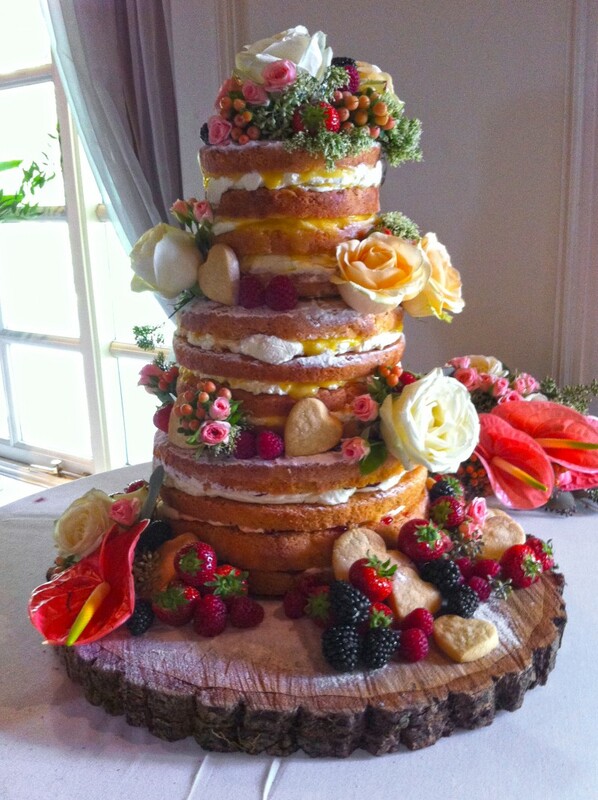 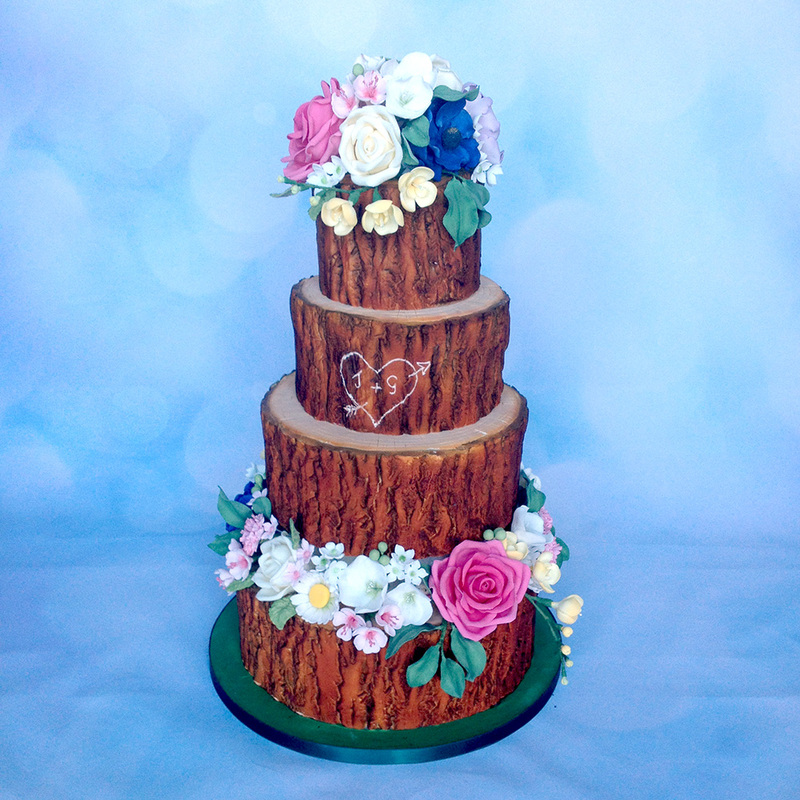 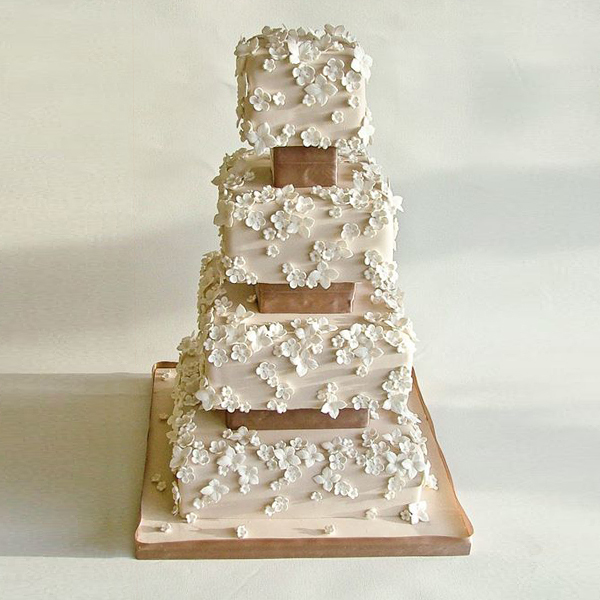 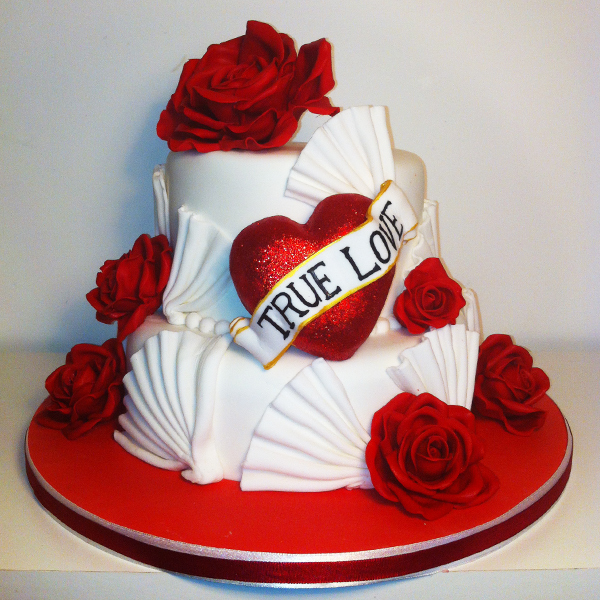 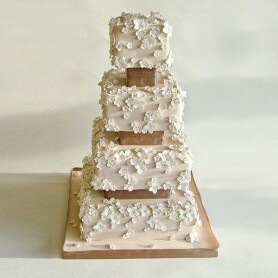 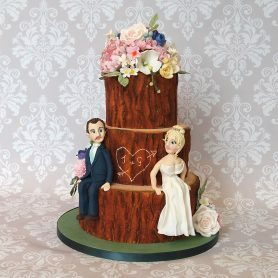 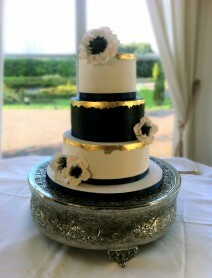 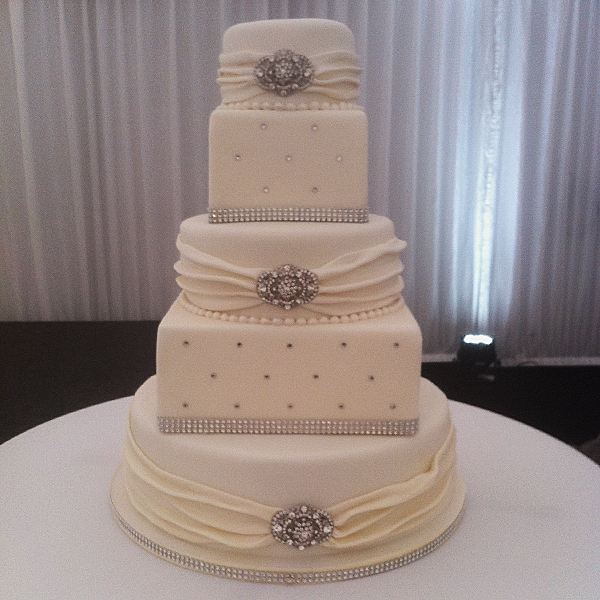 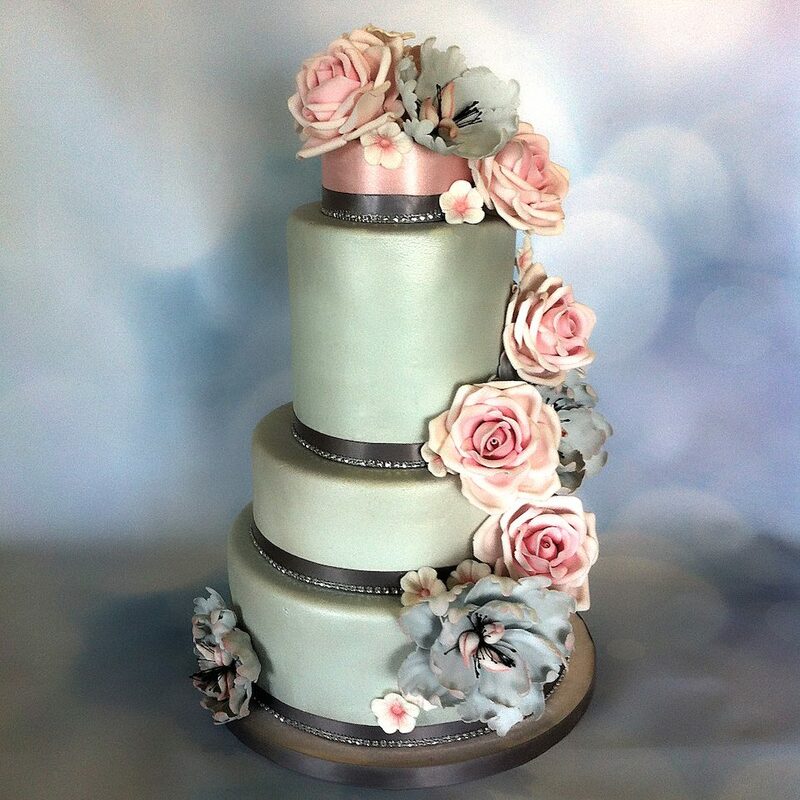 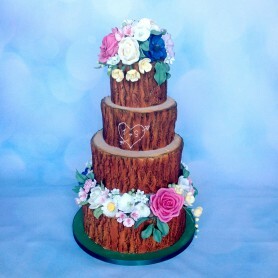 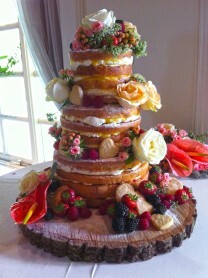 Wedding cake prices start at €200 for a two-tier. 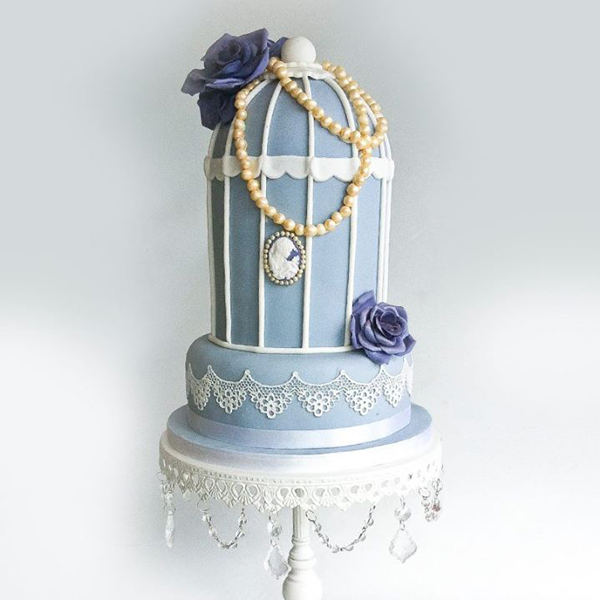 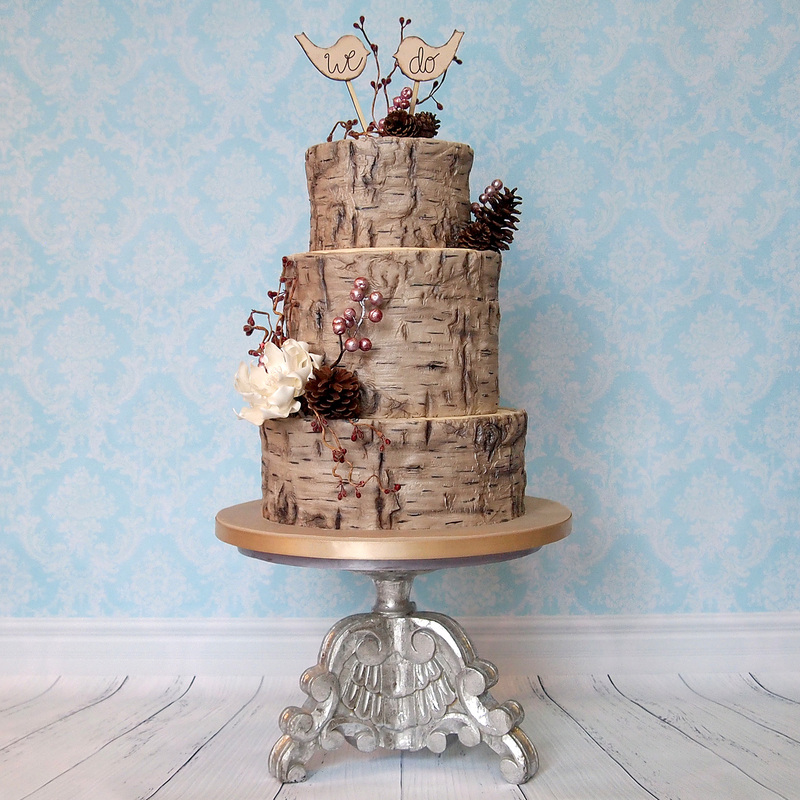 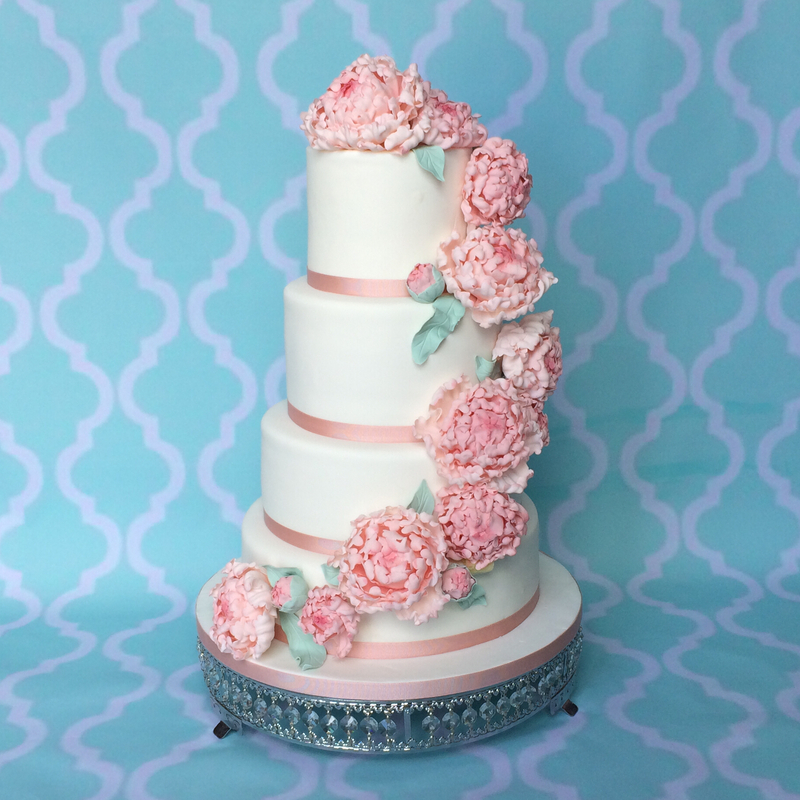 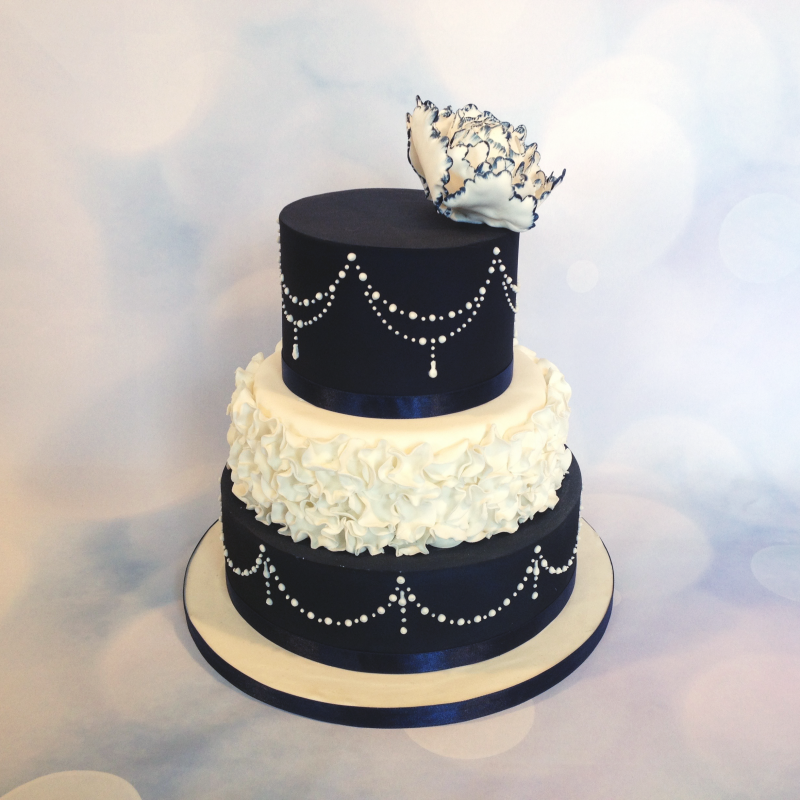 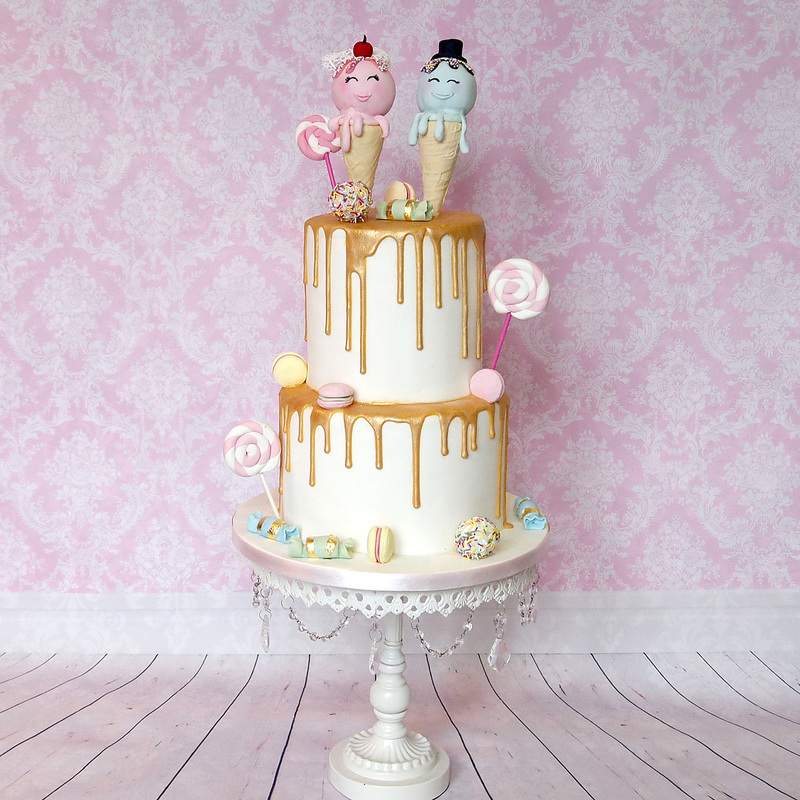 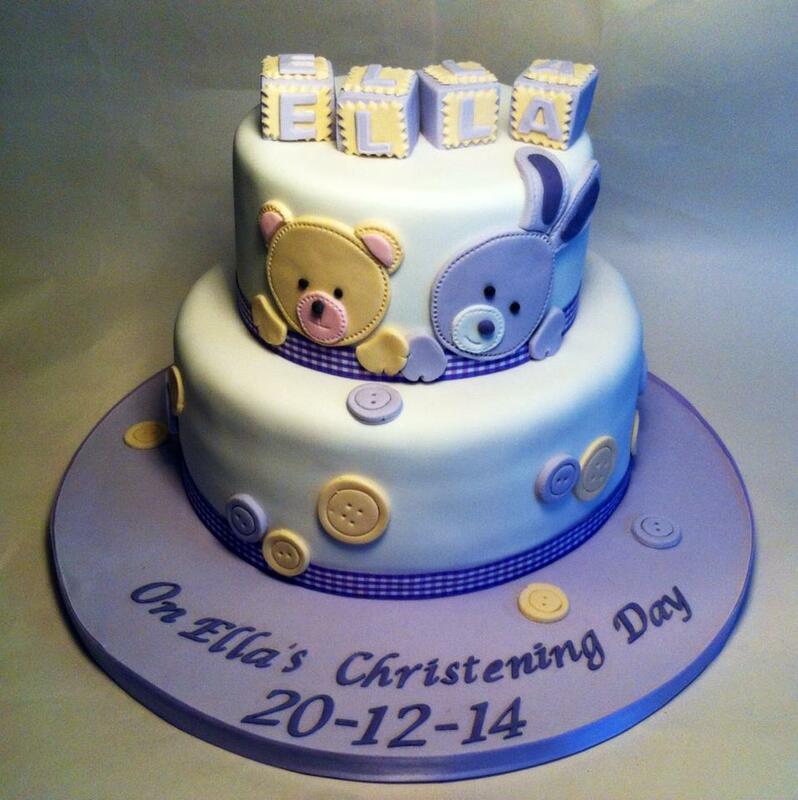 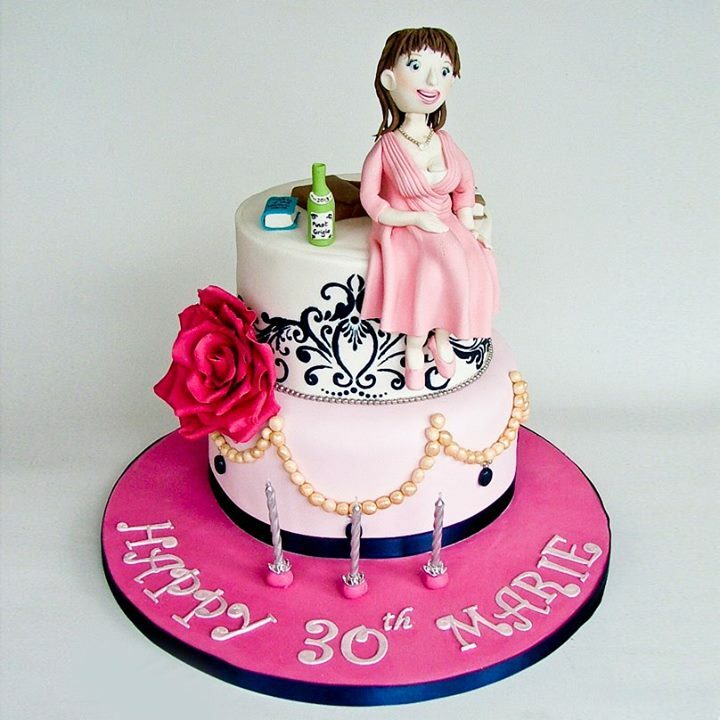 A simple three-tier cake would cost approximately €350. 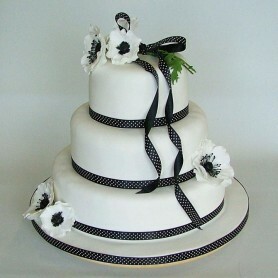 Again, the size and amount of detail and decoration required would determine the final price of your cake. 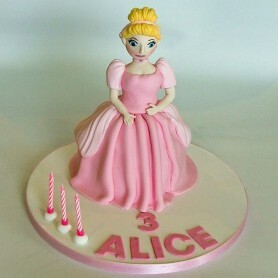 Please contact me by phone or email to discuss pricing or to arrange to have a chat. 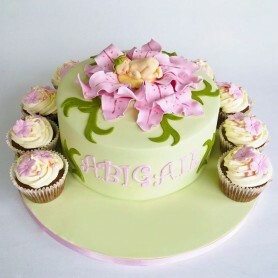 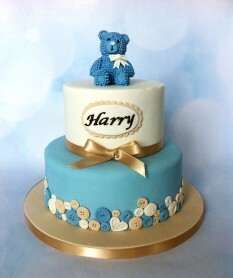 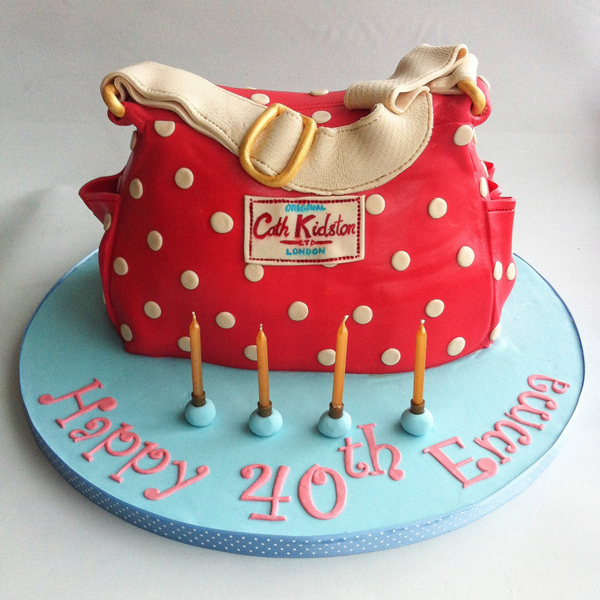 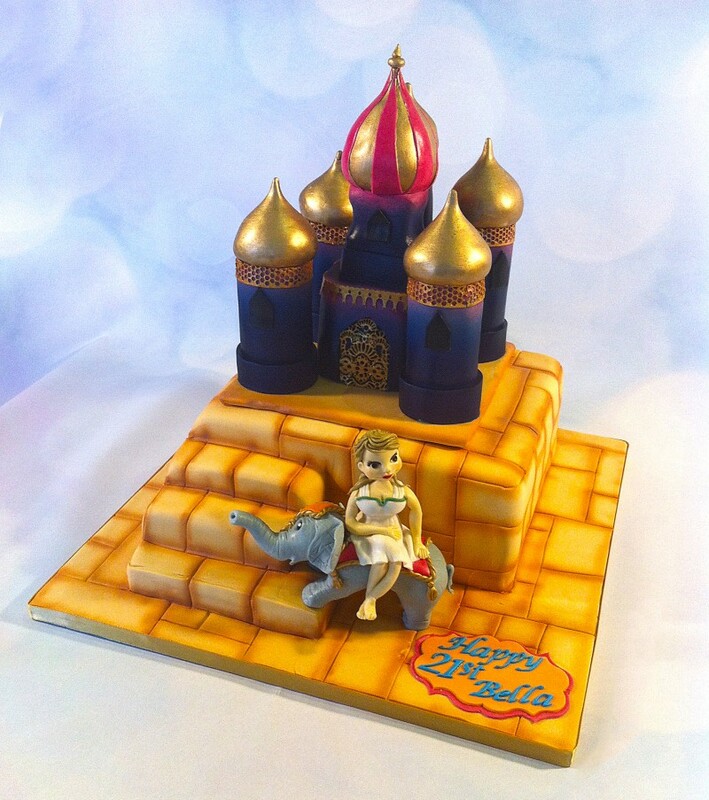 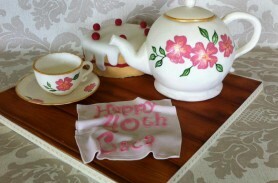 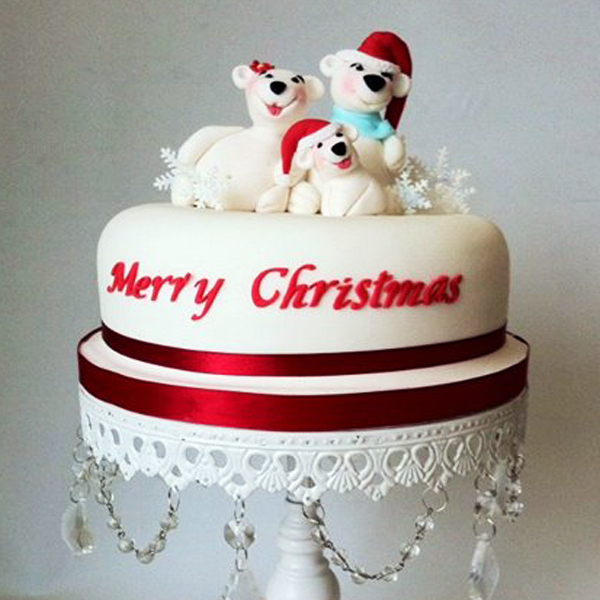 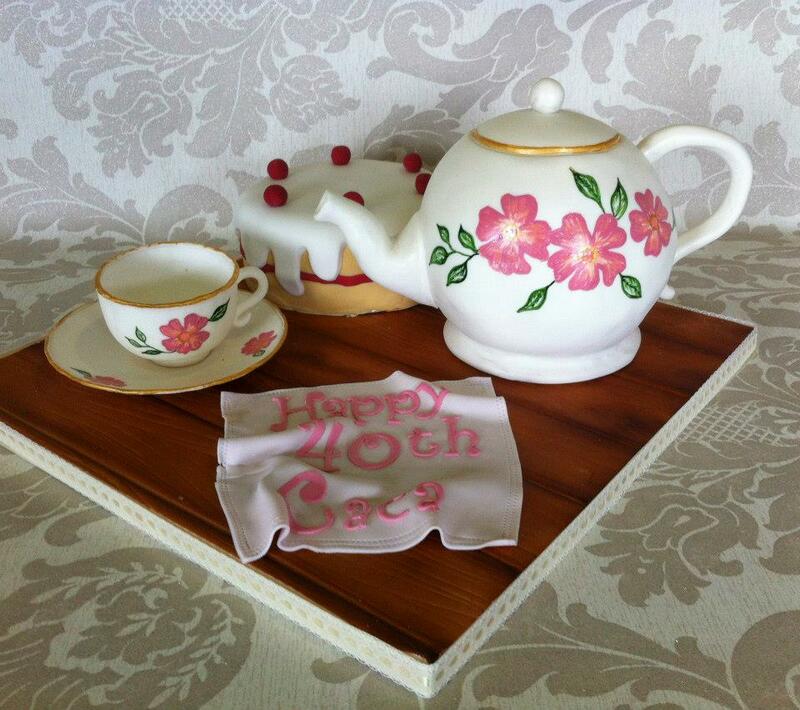 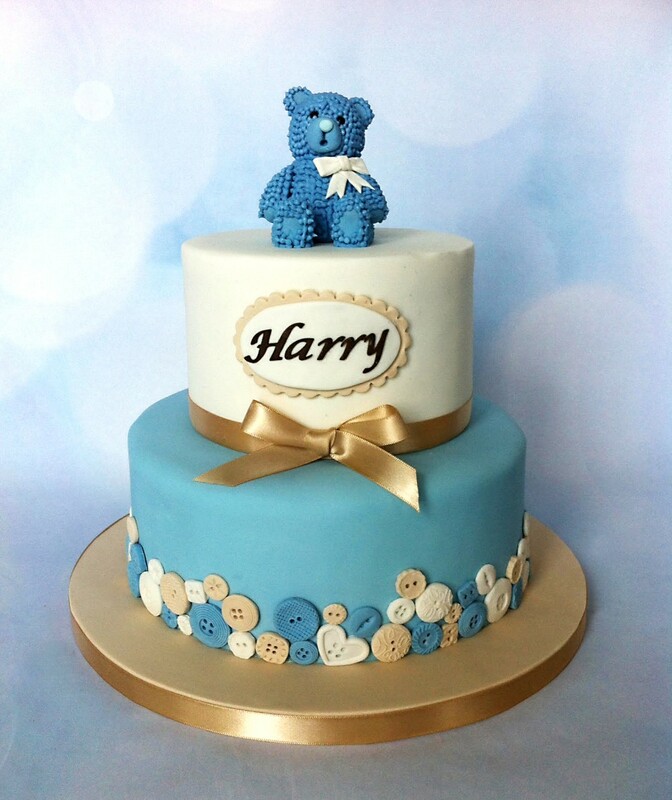 I just love to combine my passion for baking with the creative freedom of sugar craft. 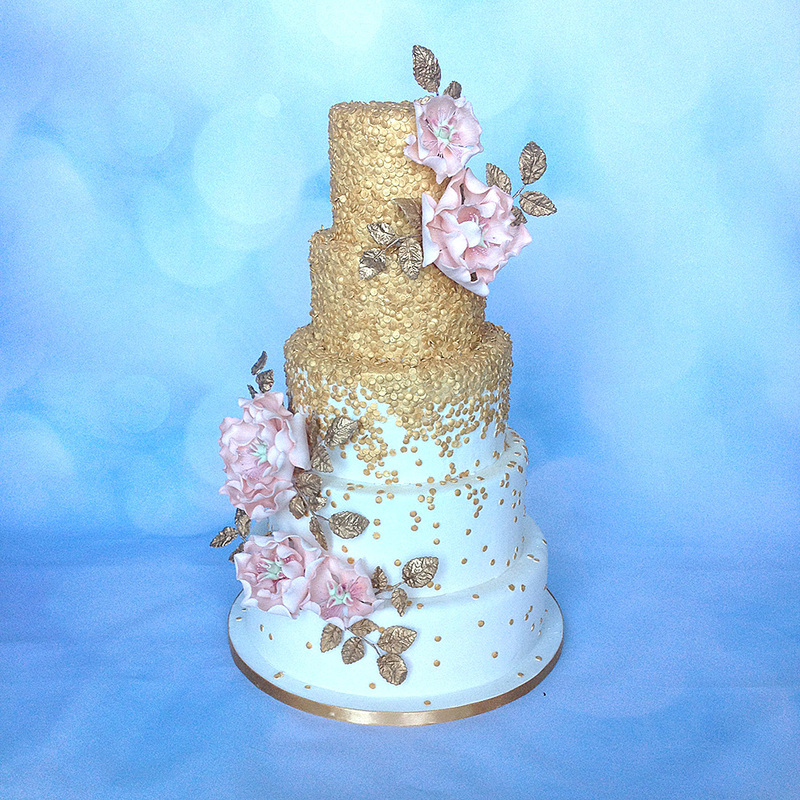 I admit that designing and creating cakes – from an elaborate wedding cake to a simple celebration cake – brings me as much joy as I hope it will bring to you on your special occasion. 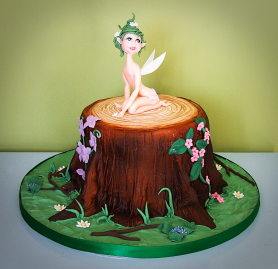 All of my cakes are home-baked in my kitchen. 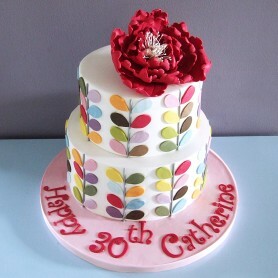 It's important to me that they taste as good as they look, so they've got to be delicious! 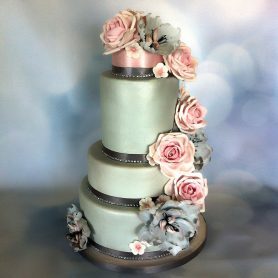 To me, it's not just a cake, it's an individual 'work of art', an expression of love, to bring joy, amazement and maybe a little giggle. 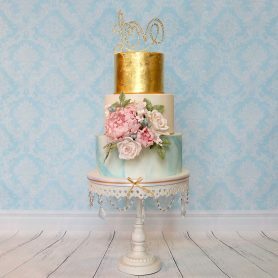 A custom-made cake marks life's milestones and creates beautiful memories that will last long after the last delicious slice has been eaten.